Rosenbaum Contemporary is partnering with the Arthur R. Marshall Foundation for the Everglades to present Manuel Cancel: Everglades & Echoes, an exhibition of paintings. The exhibition opening/artist reception will double as a fund-raiser for the Arthur R. Marshall Foundation for the Everglades with a portion of the proceeds from the sale of Cancel’s work benefitting the organization. The event will be held from 6 to 9 p.m. at Rosenbaum Contemporary’s Boca Raton gallery, 150 Yamato Road, Boca Raton, Fla., and is open to the public. Attendees are asked to RSVP to rsvp@rosenbaumcontemporary.com or 561-994-9180 x203. “The Marshall Foundation is delighted to be chosen as a partner by Rosenbaum Contemporary...Our job is to educate about the Everglades, so this is a perfect opportunity to broaden awareness about this very unique place,” said Mark Pafford, CEO of the Marshall Foundation. Manuel Cancel: Everglades & Echoes will feature Cancel’s Everglades series and related waterscapes. 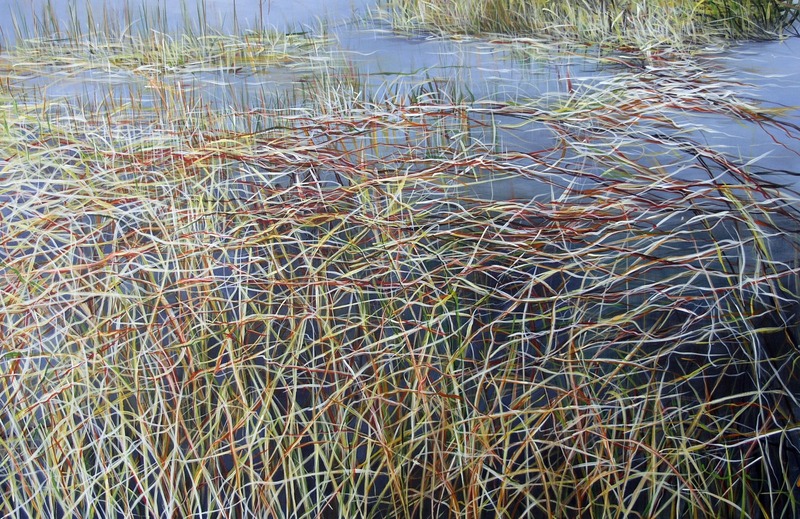 “Working on (the Everglades series) I realized that the paintings related also to places I have seen in Argentina, Uruguay, Spain and France…One big world made of water, floating plants and trees with all the mystery of it,” Cancel said. Cancel was born in Buenos Aires, Argentina, and currently lives and works in Paris, France. His work has been shown in museums in Argentina and France, galleries on four continents, and in major art fairs including Art Basel Miami Beach, FIAC Paris and TEFAF Maastricht. It has also been exhibited in the Argentine Embassy in Paris. 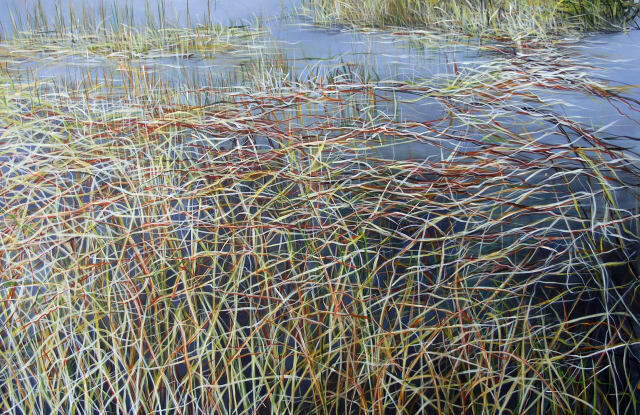 Manuel Cancel: Everglades & Echoes will remain on view at Rosenbaum Contemporary’s Boca Raton gallery through Nov. 13. Regular gallery hours are Tuesday through Saturday, 10 a.m. to 5 p.m. The Marshall Foundation, based in Palm Beach County, Florida, champions the restoration and preservation of the greater Everglades ecosystem through science-based education and outreach programs. Annually, more than 25,000 elementary and high school students in Palm Beach County actively participate in the Marshall Foundation's various education programs. The donation-funded organization awards scholarships and internships, has planted nearly 100,000 native Florida trees in wetland areas and has involved more than 5,000 volunteers in hands-on restoration projects. They deliver public programs, speakers on the Everglades and naturalist-guided walks and rides. For more information about the Marshall Foundation, call 561.233.9004 or visit www.artmarshall.org.